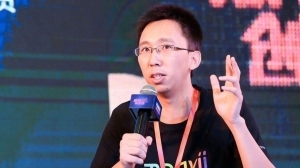 The Department of Industrial Technology (DoIT) of the Ministry of Economic Affairs (MOEA) urged four research institutes to establish the TARC in mid-2005. 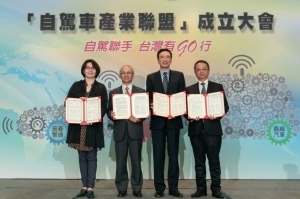 The six members of the consortium are the Automotive Research and Testing Center (ARTC), Mechanical and System Research Laboratories (MSL) of Industrial Technology Research Institute (ITRI), Material and Chemical Research Laboratories (MCL) of ITRI, the Chung-Shan Institute of Science and Technology (CSIST), and Hua-chuang Automobile Information Technical Center Co. Ltd. (HAITEC). 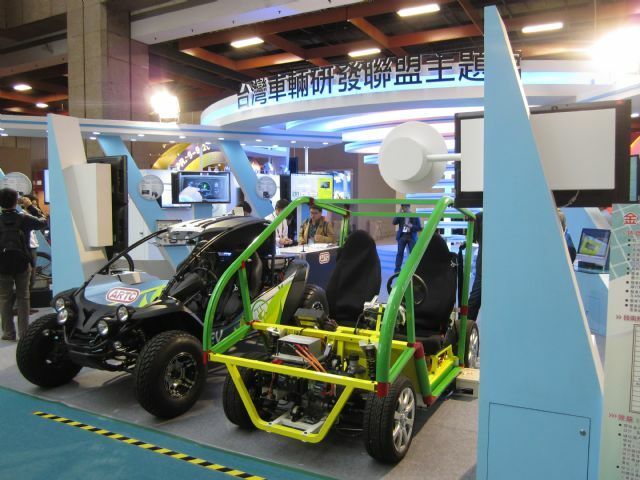 The TARC Pavilion at the 2015 EV Taiwan unveiled R&D projects and achievements that have numerous practical merits and are ready for technical transfers to the private sector. 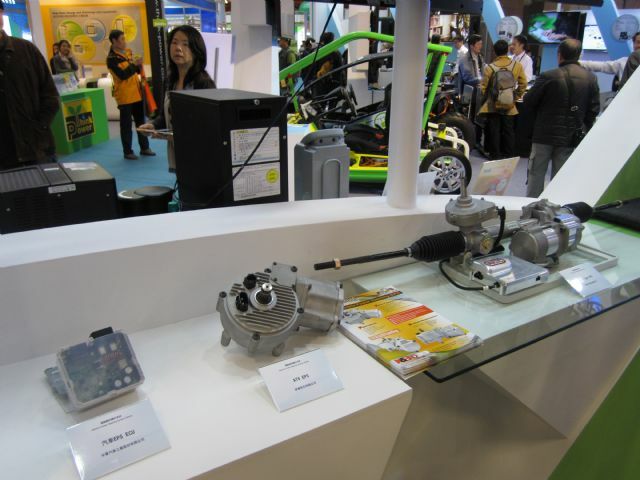 Among the abundant R&D achievements displayed this year, the electric power steering system (EPS) series attracted intensive attention. The series is jointly developed by several parties. ARTC is responsible for the column type EPS, an EPS integrating the electric motor with the steering mechanism. The electronic control unit (ECU) uses the steering torque signal and vehicle speed to control the motor and produce the corresponding steering assistance. The EPS helps the driver steer the vehicle and provides variable steering feel according to the speed. Hiwin Technologies Corp.'s rack-type EPS provides assist force to the rack by the ball screw and nut, with a rack force greater than 11kN. 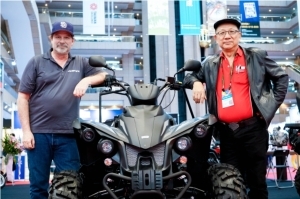 Rotatech International Corp.'s all terrain vehicle (ATV) EPS integrates the key components (torque sensor, ECU, and motor) in one module. It can be easily applied to an ATV/UTV steering mechanism. 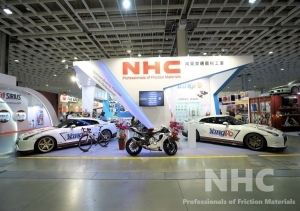 China Motor Corp., the local assembler of Mitsubishi cars and maker of own-brand e-moving electric scooters, demonstrated its EPS ECU, which has return and damp control strategies to support convenient, safe and comfortable driving. The EPS ECU is also the first home-grown component of its type to be installed on passenger cars. 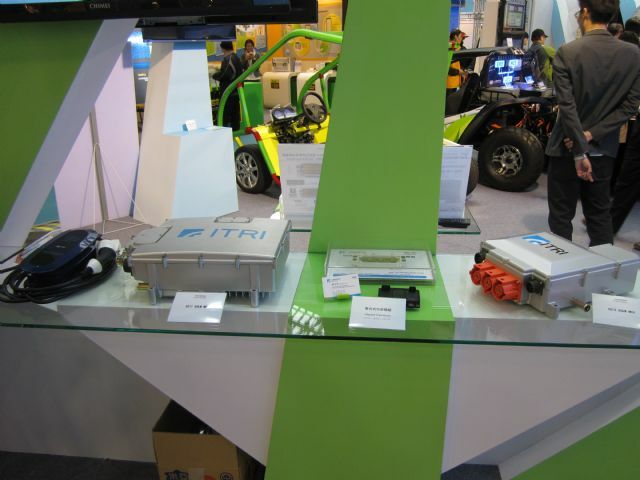 ITRI showcased a 50kW electric vehicle (EV) EV motor controller, the first such one developed and made in Taiwan. ITRI says that the technology can be transferred to a domestic controller company for production of electric propulsion control systems. Controller companies need to develop their own EV propulsion modules to become key suppliers in the global EV supply chain. 1. World-class high-efficiency EV motor controllers in line with DOE standards; high power density, high efficiency, and a wide-range of applications. 2. Safety-protection and diagnostic technology for the EV propulsion module. 3. Standard and regulation verification (IEC 60785 / IEC 60786 / ISO 16750 / EMC 56-1). 4. The controller has a built-in three-in-one silicon carbide (SiC) high power module with advanced functions and technologies such as: micro-channel direct cooling technology and low-stress structure to increase thermal performance and reliability; heavy wire-bonding increases current density; copper metal bonding of terminal to increase reliability; and vacuum reflow to decrease bonding void rate. This device is used to connect the battery management system (BMS) of a lithium-ion battery pack. 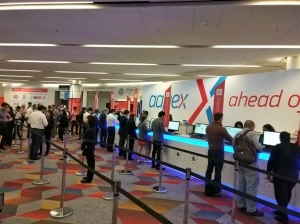 The device uses a two-pulse load testing type diagnostic method that can perform diagnostics in three minutes to establish the SOC (state of charge) and SOH (state of health) during charging. The proposed technique not only provides a diagnostic device, but can also be used as an on-board system in EVs. The proposed technique can also be adopted in power cells, modules and packs. ARTC introduced its sensor fusion system featuring greater resistance to sensing failure due to environmental causes; no lane-detection; and high CPU computation efficiency. 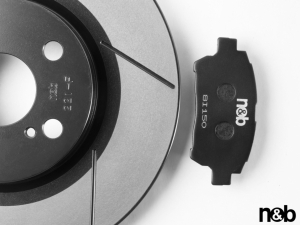 Testing results also demonstrate the robustness of the sensor fusion system. 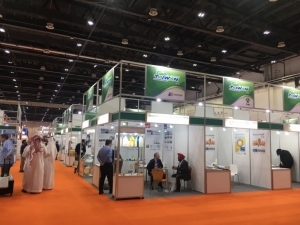 ARTC introduced its sensor fusion system, which is less prone to failure due to environmental causes. It also has no lane-detection and high CPU computation efficiency. ARTC says that most car-detection mechanisms developed in Autonomous Emergency Braking (AEB) systems use a single sensor. This has limited the operating conditions of the AEB system due to the physical weakness of the sensor. 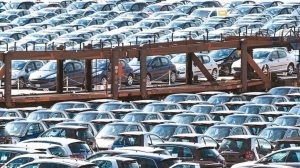 The disadvantages of radars and image-sensing, however, are compensated in a sensor fusion manner, which stabilizes the vehicle sensing system and thus enables safe operation at all times and in all kinds of environmental conditions. The system can detect vehicle speeds between 10kph and 50kph; has a detection range 5-50 meters; has a barrier definition plus or minus 10 degrees for front vehicles; and has a detection accuracy of up to 95%. This chip system combines both Lane Departure Warning System (LDWS) and Front Collision Warning System (FCWS) functions to simultaneously detect lane markers and front vehicles. It also issues early warming signals when there is the danger of unintentional departure or possible rear-end collision with the front cars by using a CCD/CMS camera mounted on the vehicle. 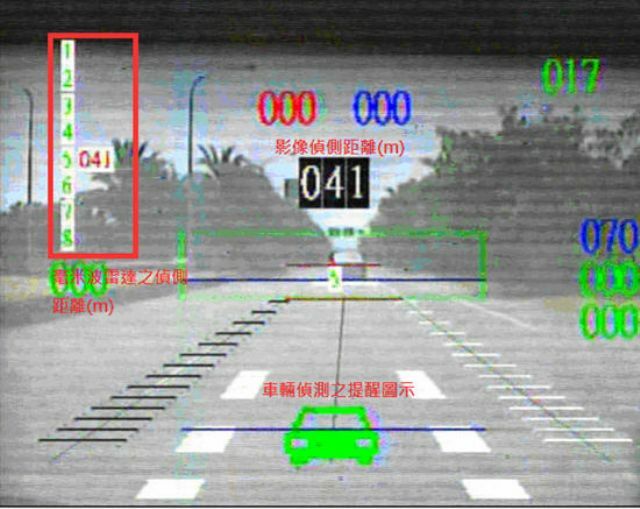 A chip combining both LDWS and FCWS functions was developed to simultaneously detect lane markers and front vehicles. Compared to most products available on the market, the chip is a low-cost and high-reliability solution. Other specifications of the chip include a maximum vehicle detection range up to 50 meters; and ability to detect most types of lane markers and vehicles; ability to detect lane widths between 3 and 4 meters. The system can also process vehicle speeds ranging from 45 to 120 kph, a curve radius of about 250m, and image processing speed of about 25 frame/s. 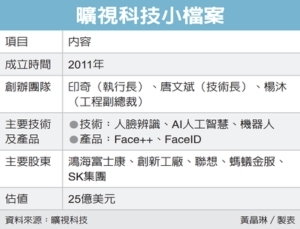 A Taiwanese chipmaker is scheduled to commercialize the chip technology as an integrated DVR system-on-a-chip (SOC) chip in mid-2015. 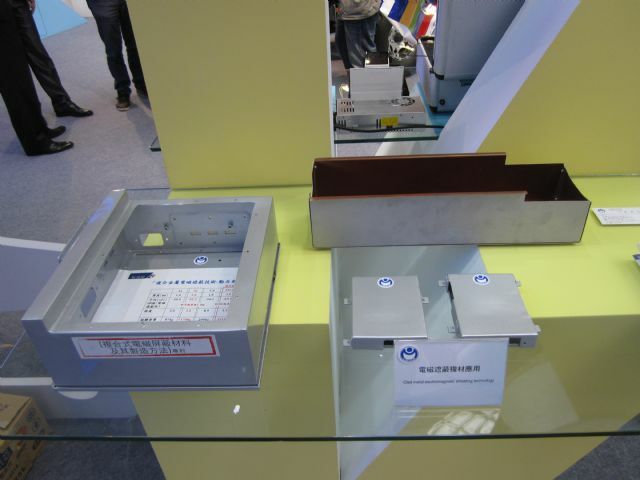 TARC developed the high electromagnetic shielding clad metal technology to reduce electromagnetic waves, meeting the VSCC561 standard for vehicular electronic equipment. By adopting the aluminum/copper clad metal to replace aluminum counterparts, the clad metal technology can help reduce weight by 17%, while upgrading the electromagnetic shielding properties (400M-1000 MHz) by about 20%. 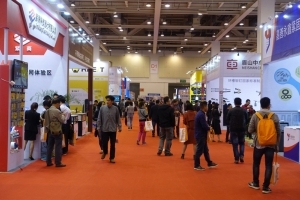 The advanced technology has helped local automotive-electronic maker Whetron Electronics Co., Ltd. overcoming traditional technology bottlenecks and pass the integrated battery-module testing. The Driver Physiology Recognition & Monitoring System provides driver monitoring functions with multiple sensors, including an ECG sensor and camera-based systems. The Driver Physiology Recognition & Monitoring System developed by ARTC provides driver monitoring functions with multi-sensors, including electrocardiogram (ECG) sensor and camera-based systems. This system utilizes ECG signals and present self-developed algorithm to distinguish driver normal/abnormal conditions. The ECG sensor also integrates with the steering wheel, identifying the driver identity by using individual differences of the waves in ECG patterns. 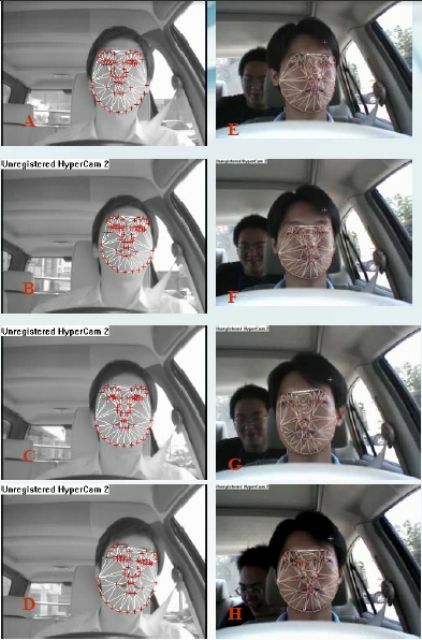 In addition, the system also analyzes head swing with image processing technology to decide whether the driver is concentrating on driving or not. For driving safety, the fusion of multiple parameters not only yields ID and physical recognition, but also prevents distracted driving. This technology enables drivers to control different electrical equipment and instruments with gestures using depth sensors. For example, the driver can switch on or off the wipers, infotainment system, and headlamps with the wave of a palm or arm. The technology can reduce the risks associated with driver distraction. The system has 3D gesture recognition learning capability, thanks to its Virtual Reality technology, improving the recognition rate. Nice functions: when you wave your hand around, the wiper system will switch on. Tilt your arm and the music will play. The 3D Around View Monitor (AVM) system can perform real-time aspheric perspective transforming, stereo image stitching, and vision conversion. It features no visual blind spots, helps drivers avoid accidents, has a simple and clear display, and enables drivers to relax while driving. The vehicle parking collision avoidance system combines vehicle sensors, such as ultrasonic parking sensors, and speed sensors with integrated electric parking brake (IEPB) technology to execute brake assist in park. Compared to general and typical emergency braking safety structure applying hydraulic brake and millimeter wave radar, the cost of this system is lower, while the parking safe function is still provided during low-speed situations. The vehicle parking collision avoidance system combines vehicle sensors, speed sensors and integrated electric parking brake (IEPB) technology to execute braking and assist with parking. 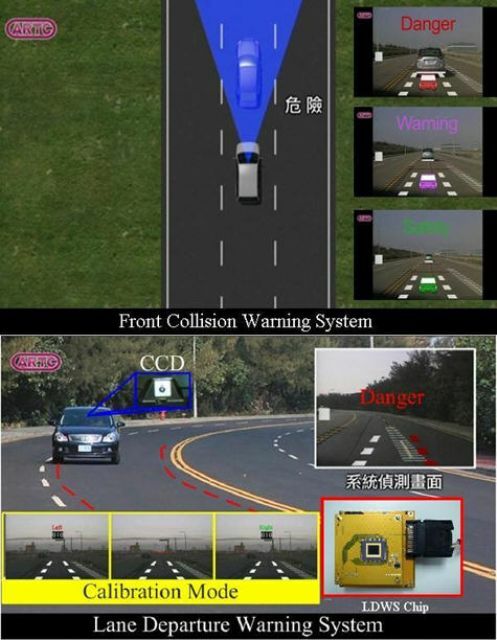 Key technologies used in this system include rear-end obstacle detection, IEPB brake control design, parking collision-avoidance algorithm, vehicle tracking prediction, and system motor fault identification and analysis technology. Another advanced technology showcased was the Autonomous Emergency Braking (AEB): a common active-safety system on luxury cars. ARTC says that the key to such systems is more enhanced identification of barriers. 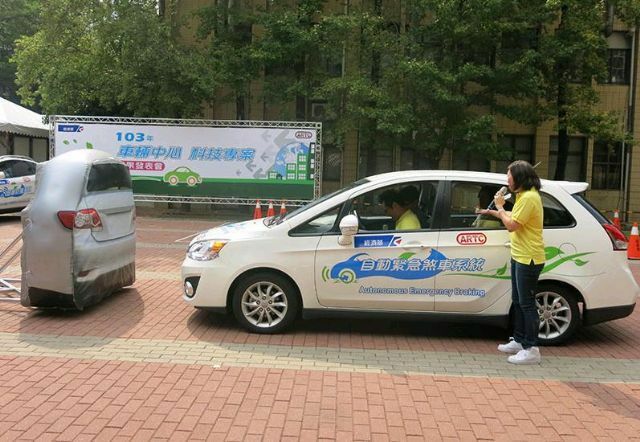 A real-vehicle demonstration of the Autonomous Emergency Braking (AEB) developed by ARTC. AEB employs sensors to monitor the proximity of vehicles in front and detects situations where the relative speed and distance between the host and target vehicles suggest that a collision is imminent. In such situations, emergency braking is automatically applied to avoid a collision or at least mitigate its effects. In its development efforts, ARTC integrated both millimeter-wave radar and image-sensing technology into the core architecture of its AEB system. With their recognition and distance-detection capability, image-sensing systems are easily affected by weather conditions and background complexity. Millimeter-wave radar, which is currently the mainstream collision-prevention technology, addresses this problem by transmitting radio waves to the vehicle ahead and analyzes the arrival time and direction of the reflected waves to measure the distance to the vehicle and determine its speed and position. The resulting information is relayed to Pre-Crash Safety (PCS) systems, which attempt to minimize crash damage when detecting an imminent collision, and Adaptive Cruise Control (ACC) systems, which maintain a safe distance between vehicles. Millimeter-wave radar is not vulnerable to weather conditions, but it cannot recognize the character of the objects it detects. So, ARTC claims, the integration of millimeter-wave radar and image-sensing technologies into a single AEB system creates many advantages: pedestrian recognition, background-complexity reduction, lowering of the algorithm volume of central processors, etc. For AEB system development, the center integrates digital image processors and micro controllers into one dual-core processor module as the algorithm core for real-time lane recognition, front-vehicle distance detection, multi-sensing fusion, and route prediction. The MIRDC EV-No.4 EV open chassis platform features a Space Frame structure design and high-strength steel, making it both lightweight, structurally strong and compact. 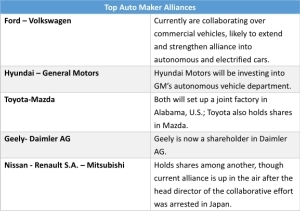 With key components developed and made by local companies, the platform is expected to help local EREV and EV parts makers to more smoothly tap into the international market. The MIRDC No. 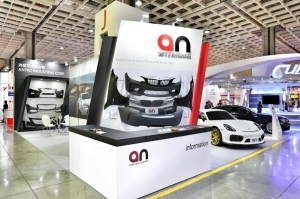 4 open chassis platform features Space Frame structure design and high-strength steel. 1. Space Frame utilized the main structure of the underbody to reduce mold costs by more than 30%. 2. The device uses a slip joint and slip plane design technique to fine-tune chassis structure, improve ease use across model types, and reduce assembly tolerance. 3. The Space Frame structure is suitable for small-volume production EVs with different specifications. 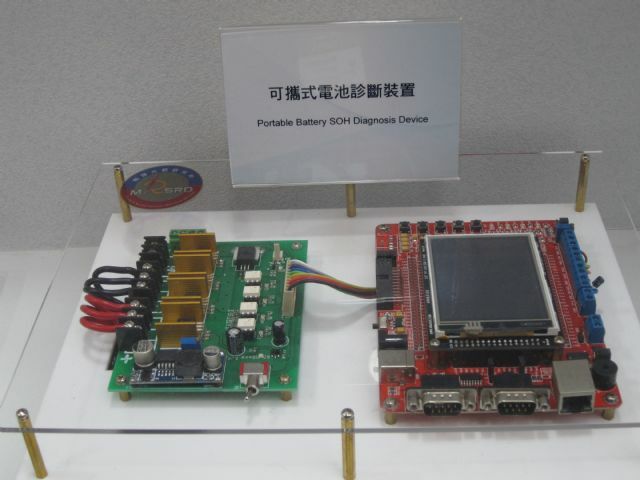 TARC also demonstrated a home-use energy storage system, intelligent portable power source made of recycled lithium-ion battery packs, electricity storage demonstration for small communities, a wireless charging system with magnetic field shaping, and the Taiwan EV Supply Chain and EV Monitoring & Service Platform, which is an online platform established by the Department of Industrial Technology (DoIT) and TARC to promote Taiwan's EV supply chain to enhance EV industrial cooperation and development.